Many New Yorkers were already skeptical that two years was long enough for mayoral candidate Anthony Weiner to change his ways. 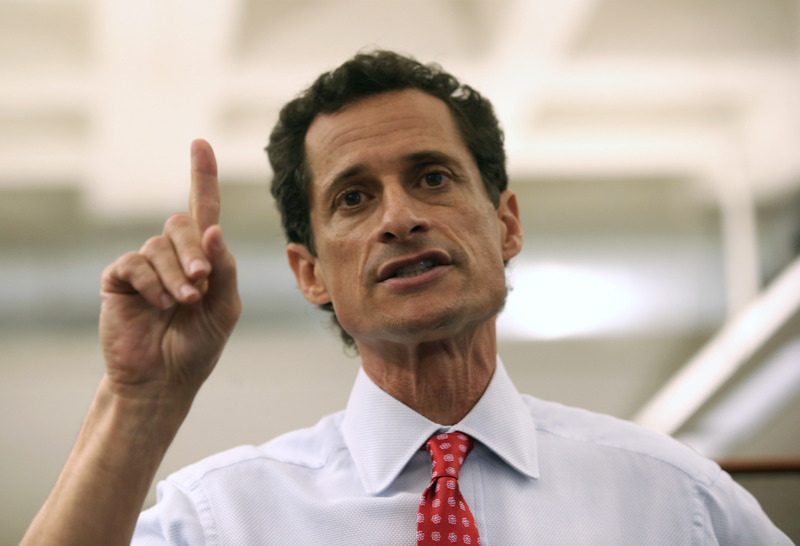 Weiner reappeared on the political scene this year with a run for New York City Mayor after he had resigned from Congress over a sexting scandal. Now, newly leaked information shows that Weiner was up to the very same mischief as recently as seven months ago. As it turns out, the newly-leaked online relationship occurred more than a year after Weiner had made his apologies and promised to change his ways. In a press conference held late Tuesday afternoon with his wife Huma Abedin, Weiner suggested that he would be staying in the mayoral race. Not so fast, says the media. The New York Times , The Wall Street Journal , and The New York Daily News all published editorials Wednesday morning accusing him of "arrogance," "lies," "evasion," and, most importantly to some, the unfair disgrace brought upon his wife. The serially evasive Mr. Weiner should take his marital troubles and personal compulsions out of the public eye, away from cameras, off the Web and out of the race for mayor of New York City. The Wall Street Journal focused most specifically on the well-being on Weiner's wife Huma Abedin. Lewd tweets aside—there's a line we never thought we'd write— Anthony Weiner ought to drop out of the New York City mayor's race simply because of what he's forced his wife to endure. Watching the elegant Huma Abedin stand next to her man Tuesday as he explained his latest sexually charged online exchanges was painful for a normal human being to watch. Mr. Weiner is not a normal human being. Weiner's fellow mayoral candidates are of course jumping at this political opportunity. Christine Quinn has already criticized him for bringing a "circus" to the campaign. Candidates Bill de Blasio, Sal Albanese, and John Catsimatidis are all calling on Weiner to bow out. And John Liu has told the press that Weiner's "propensity for pornographic selfies is a valid issue for voters."